Free Dunkin Donuts Coffee and Kicka$$ Cupcakes from Santander Today, 10/18/13! As you probably know, Sovereign Bank is now Santander and they are giving away FREE Duck Tours today, 10/18/13 all day! However, with all the excitement yesterday, I totally missed that they are also giving away FREE Dunkin Donuts and FREE Kickass Cupcakes at select locations and times today, October 18, 2013! Very Exciting! You can find all the Santander Fun and Freebies here. Cheap Weekend Fun for October 19-20, 2013 in Greater Boston Area! Are you looking for some fun things to do this weekend that won’t break the bank? Here’s a few weekend event ideas for October 19-20, 2013 in the Greater Boston area!?! 49th Head of the Charles Regatta: October 19-20, 2013 from 8am-5pm at the Charles River. The head of the Charles Regatta is the world’s largest two-day rowing event and has been a Boston tradition for 49 years! Free to watch from most viewing points. Annual Fort Point Open Studios: October 18-20, 2013 in the Fort Point Neighborhood. Check out great artwork from local artists at this annual open studios event! Free with free parking at central parking lot on Binford Street. Dorchester Open Studios: October 19-20, 2013 from 12-5pm at Dorchester Art Studios. Stop by many different studios in Dorchester to enjoy art, progress, and performers from an array of art and performances. Free. We Art Boston: Sunday, October 20, 2013 from 11-3pm at the Rose Kennedy Greenway. We Art Boston is a family-friendly fundraising event featuring contributions of original works of art from beloved children book illustrators to help raise funds for the Emergency and Trauma Fund at Boston Children’s Hospital. Free, and whatever you contribute. The Haunted Movie Series on Salem Common: Saturday, October 19, 2013 on Salem Common. If you are heading to Salem on Saturday, stick around on Saturday evening for a free movie showing of The Nightmare Before Christmas on Salem Common as well as other fun happenings all October long in Salem. Boston Book Festival: October 17-19, 2013 at Copley Square. The annual book festival promotes a culture of reading and ideas to help enhance the city. Free. 17th Annual A’Cappella Competition: October 19-20, 2013 at Faneuil Hall. Check out this annual compeititon as 16 teams perform for the title as the best A’Cappella team! Free. Newton Harvest Fair: October 19-20, 2013 from 10am-5pm in Newton Centre. Get a taste of Fall at the Newton Harvest Fair with craft booths, pumpkin decorating, live entertainment, and more. Free, but activities vary each day so check the schedule. MonsterMashed Up: Sunday, October 20, 2013 from 12-4pm on Somerville Avenue in Somerville. Check out the last SomerStreets of the season with a costume parade, food and craft vendors, music, hayrides, pumpkin carving, and more! Free Boston Duck Tour Tickets on Friday, October 18, 2013! 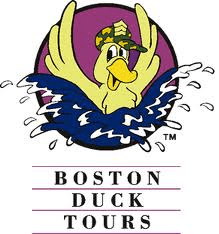 This offer is not longer valid, but you can buy discount tickets for Boston Duck Tours through Goldstar Boston. The Boston Duck Tours will be FREE on Friday, October 18, 2013 starting at 9am thanks to Santander! The entire fleet of Duck Tours have been rented and available at no cost to the public on Friday only! No reservations can be made in advance, just simply show up at one of the three ticket locations (Prudential Center, Museum of Science, or New England Aquarium). Please note that spots are limited and are on a first-come, first serve basis with a maximum 6 tickets per person. For more information about Free Duck Tour Tickets, please head here! UPDATE 10/18/13: Santander is also giving away FREE Dunkin Donuts and Kicka$$ Cupcakes too today! More info here. *Note: If you bought a Discounted Duck Tour Ticket from LivingSocial earlier this year, please keep in mind the promotional value expires in roughly 6 weeks at the end of November when the Duck Tour season ends! $10 Off Orders $40 or more at P.F. Chang’s through 11/24/13! There’s a printable coupon at P.F. Chang’s for $10 off orders $40 or more on their Facebook Page. Head to the special offer tab on the top right corner to find the coupon. The printable coupon expires November 24, 2013 at participating P.F. Chang’s. Free Admission to Laugh Boston with another Boston Comedy Show Ticket! Keep the laughter going. Save your tix from any Boston-area comedy club and get into any 10pm show @LaughBoston for #FREE thru Oct! Are you heading to a comedy show soon? Simply bring your comedy show ticket from any Boston area comedy club to the newest comedy club, Laugh Boston and get into the 10pm show free. Pretty cool. Not sure if this would count or not, but there’s complimentary tickets (just pay processing fees) at the Boston Comedy Festival Stand Up this coming November via Goldstar (affiliate link). Either way, it sounds fun! There’s also a few other discount comedy shows on Goldstar Boston if you are interested! Free Fitness Class at Athleta on Wednesday, October 16, 2013! There is a free Yoga-CardioBox-Strength Class at Athleta on Newbury Steet on Wednesday, October 16, 2013 at 8pm with CardioYoFit.com instructor and personal trainer Susan Reardon! Make sure to head here to register first! There are also some free fitness classes still available on my free fall fitness classes post, however, some have already wrapped up this season.